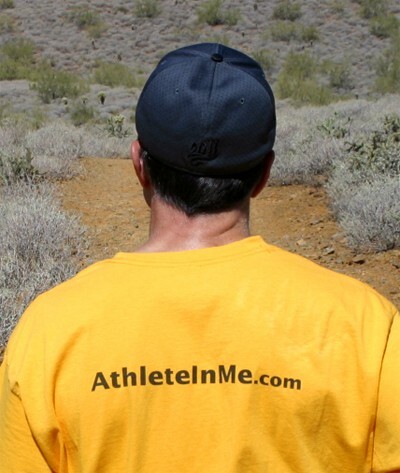 Expert Health Coaching from AthleteInMe.com. 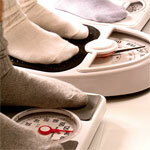 Learn how to take charge of your health! Learn how to exercise properly. 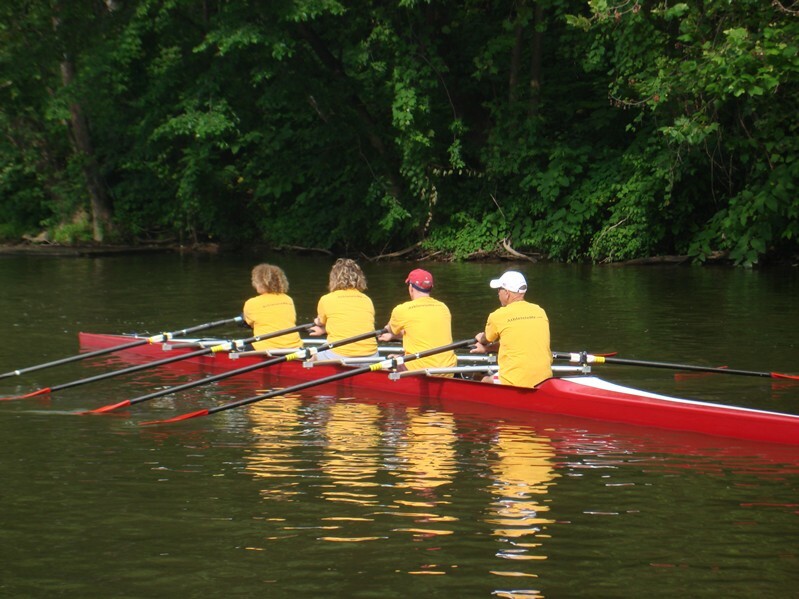 Improve your performance & recovery. 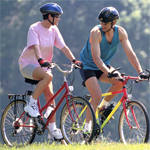 Refer your patients to us for exercise advice. 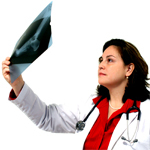 Dr. Singh has been dedicated to fitness his entire life. 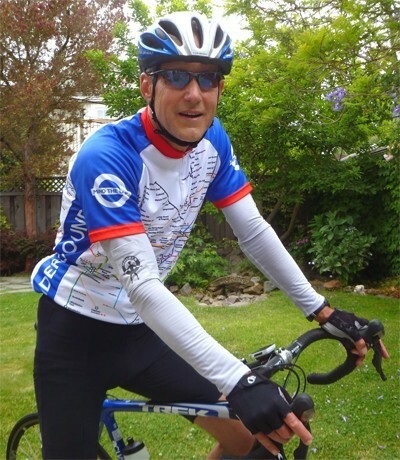 He is an elite cyclist who rides and trains every week. Our humble founder has always been a tennis fanatic. Here he is in Tampa attempting to hit a 200-mph forehand. Mike is a Col. in the Air Force. His fitness is excellent. 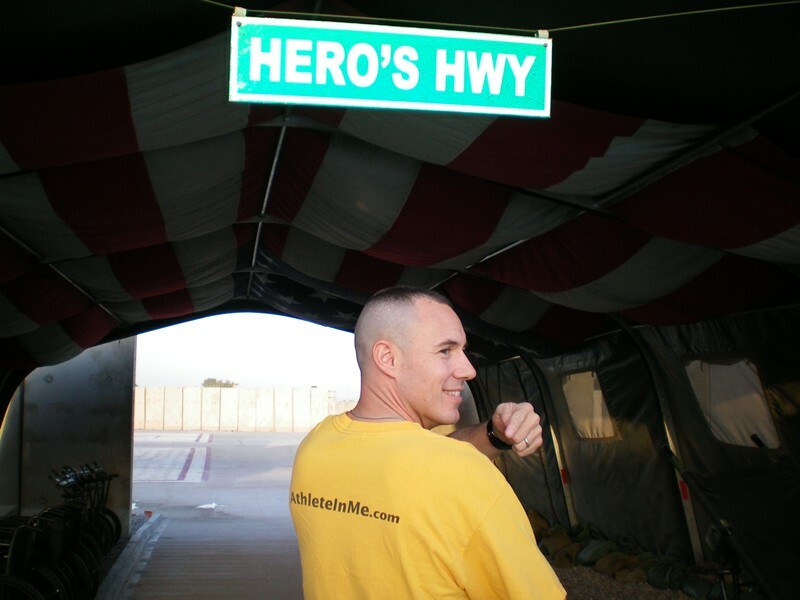 Here he is at Hero's Highway, Bala Air Force Base, Iraq, Nov. 2007. Bill is a dedicated tennis player. 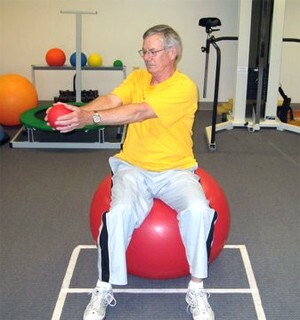 Here, he demonstrates a core training technic on a stability ball. Bill is a dedicated tennis player. 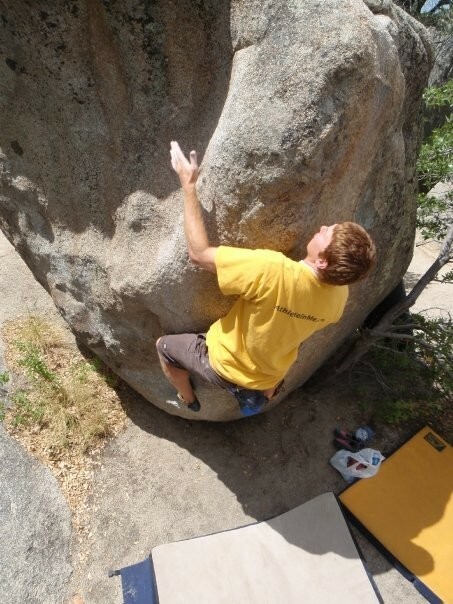 Unfortunately, sometimes injuries occur. Chris is a serious triathlete. 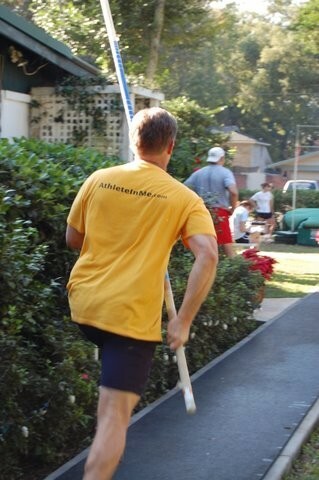 Here he is at the Miami Half-Ironman, November 2007. 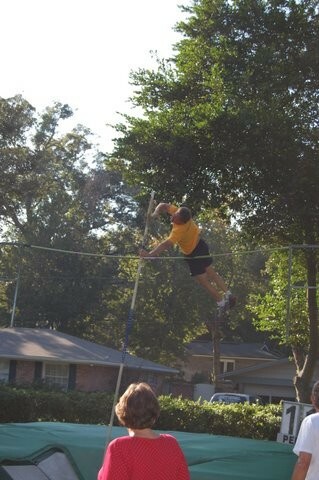 Tom was a pole vaulter in high school and in college. And he's still competing in his 40's! Here is a neighborhood event in Jacksonville, FL. Rhonda is dedicated to fitness despite a demanding academic career. 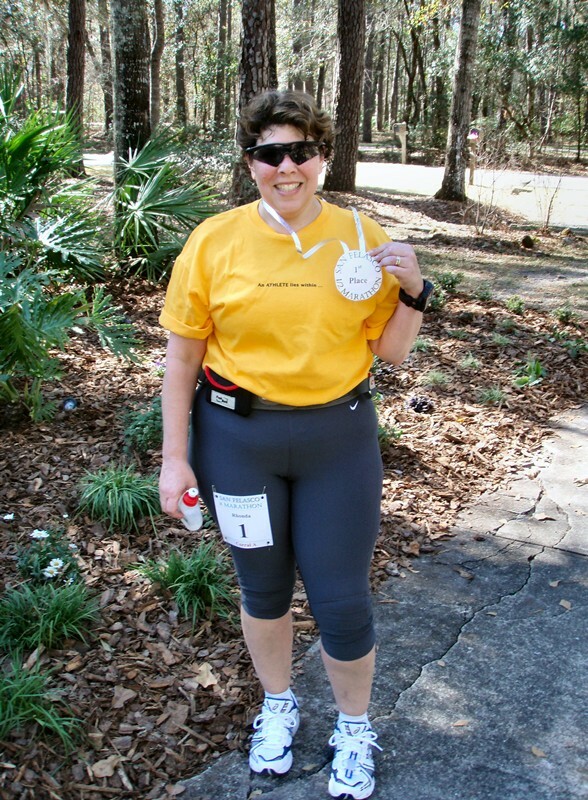 Here she is after winning 1st place in the San Felasco half marathon Feb. 2008. She is also a 2nd-degree black belt. 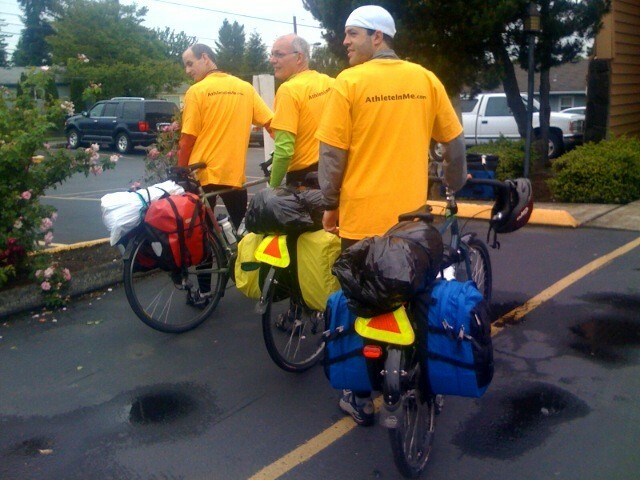 Masters rowers from the Three Rivers Rowing Association, Pittsburgh, PA.
Jack Harr, PhD, Philip Haar, and D. Massey at the start of the cross-country "Ride For Jim Popp, MD," Portland, OR, June 2008. 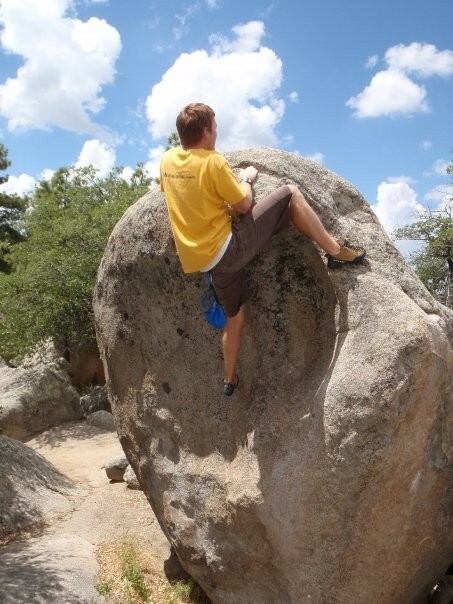 Here is Josh working on his free-climbing skills in Prescott, Arizona, July 2009. 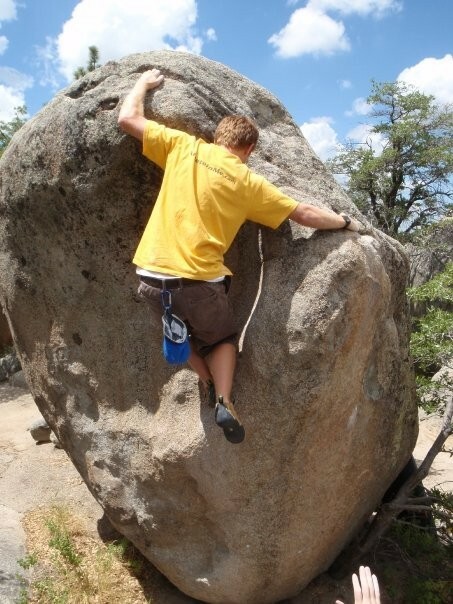 Robert exercises regularly to improve his health. 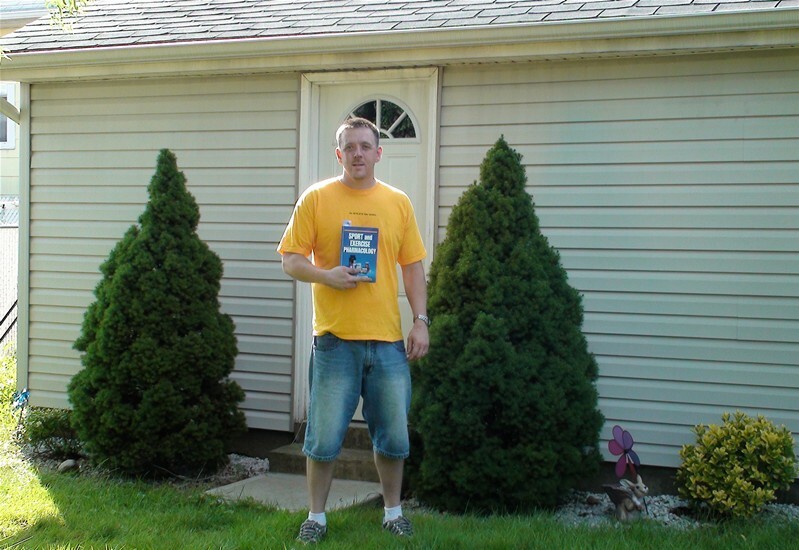 He is a dedicated AthleteInMe.com® fan! 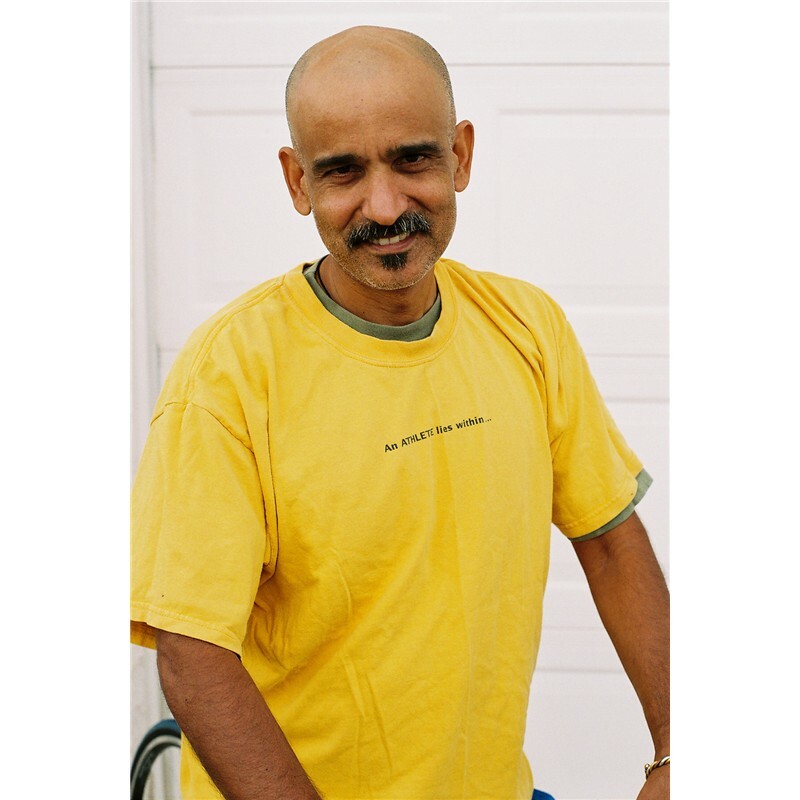 Larry is a 2nd-degree black belt, a licensed scuba diver, and now runs regularly. 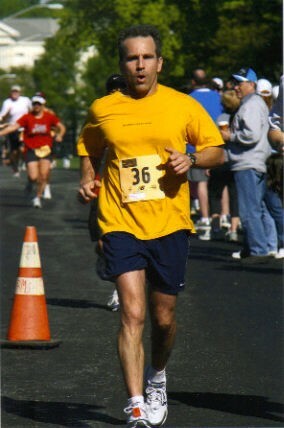 Here he is finishing the Charlotte half-marathon, April 2009. Neal is a handball champ and river rafting guide. 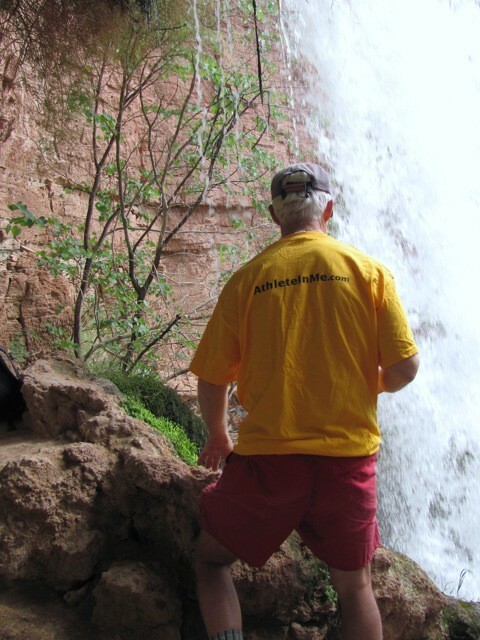 Here he is at the Grand Canyon, May 2010. 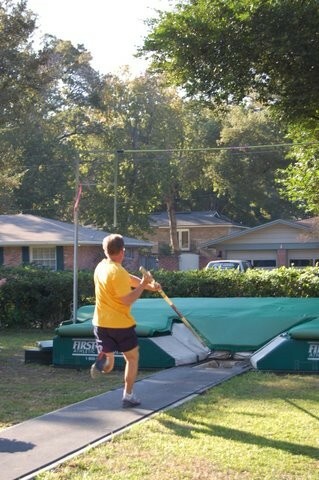 Randy was a track athlete in high school. Since then, he has been a dedicated distance runner. Randy works out every week. 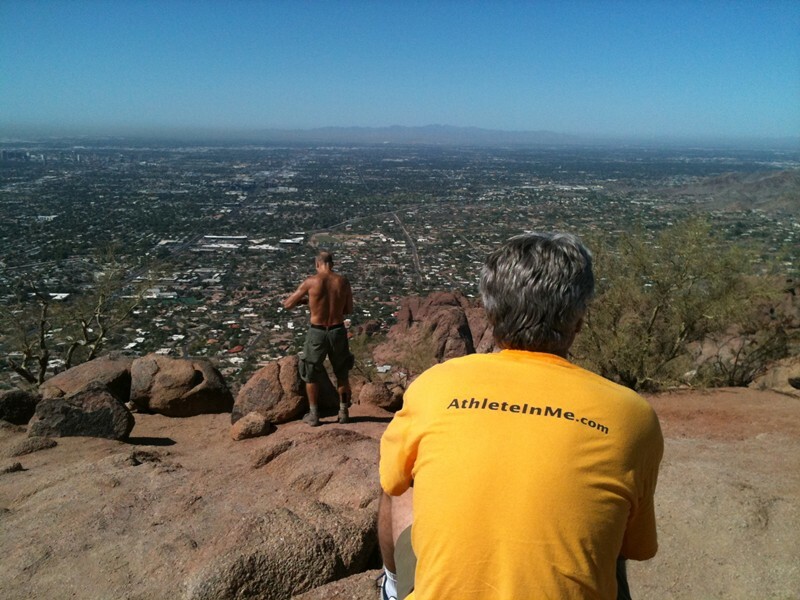 After conquering the very difficult hike to the top of Camelback Mountain (Phoenix, AZ, Oct. 2011), you are rewarded with this fantastic view. 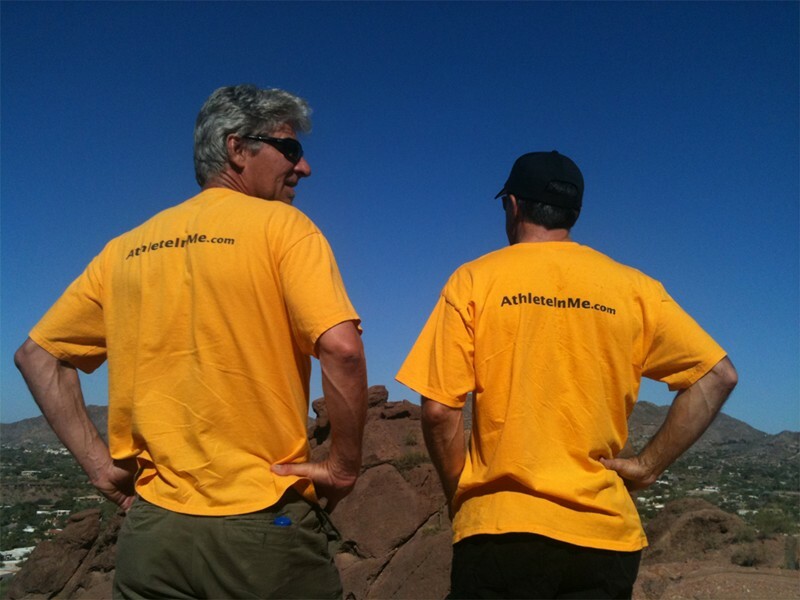 AthleteInMe.com® getting ready to take on the very challenging Camelback Mountain, Phoenix, AZ, October 2011. 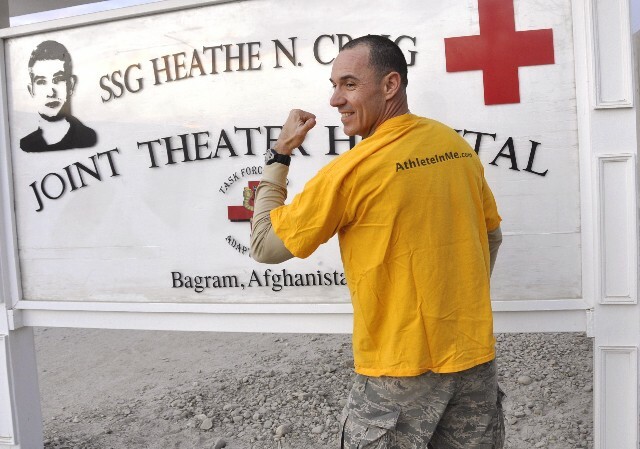 Here is Mike in Bagram, Afghanistan, Jan. 2012. 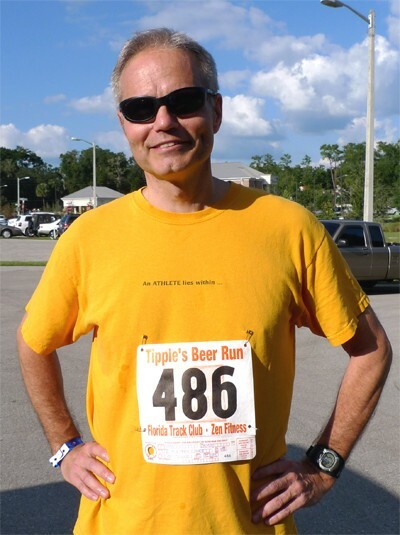 During his July 2012 PT test, he did 60 push-ups in 1-min, 62 crunches in 1-min, and ran 1.5 miles in 9:59....scoring 99.8%. Not bad for a 45-yr-old! Lindsay was a gymnast in college. 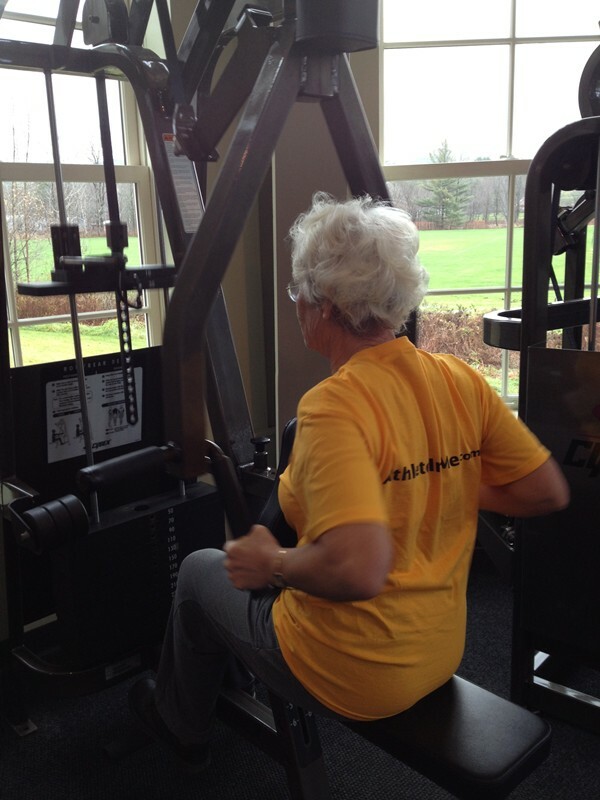 Despite a busy career, she exercises nearly every day. 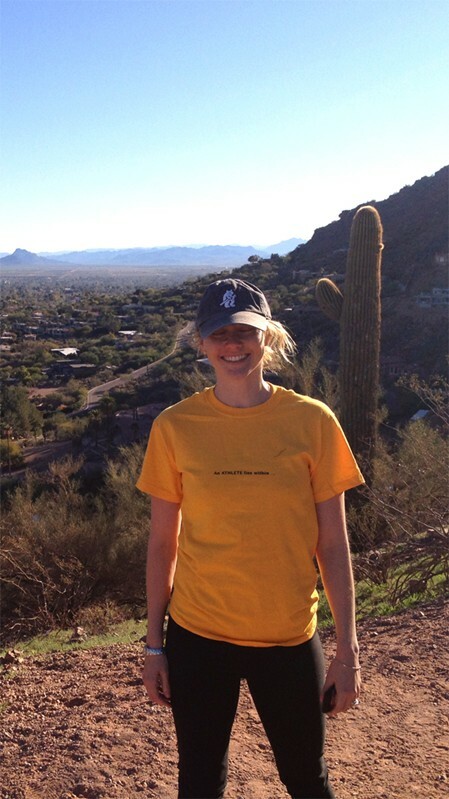 Here she is hiking Camelback Mountain in Phoenix, AZ, January 2012. 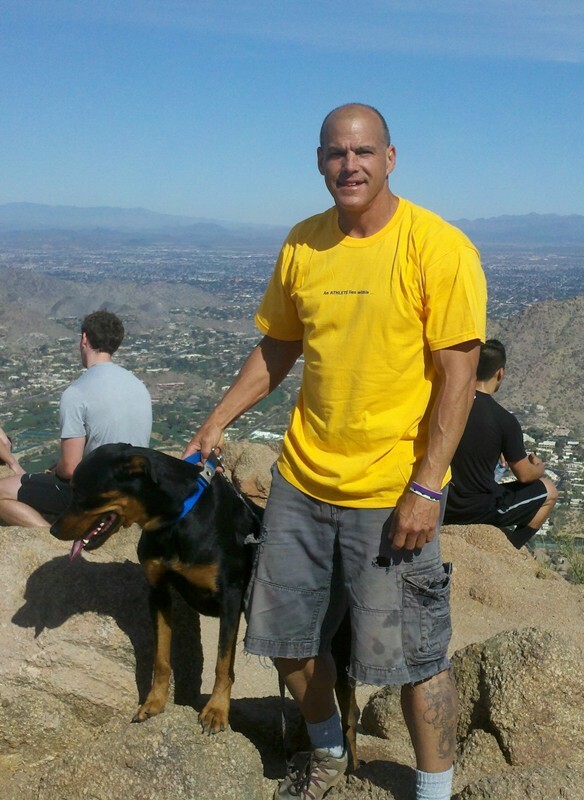 Mike conquers Camelback Mountain, via Echo Canyon, Phoenix, AZ, February 2012. 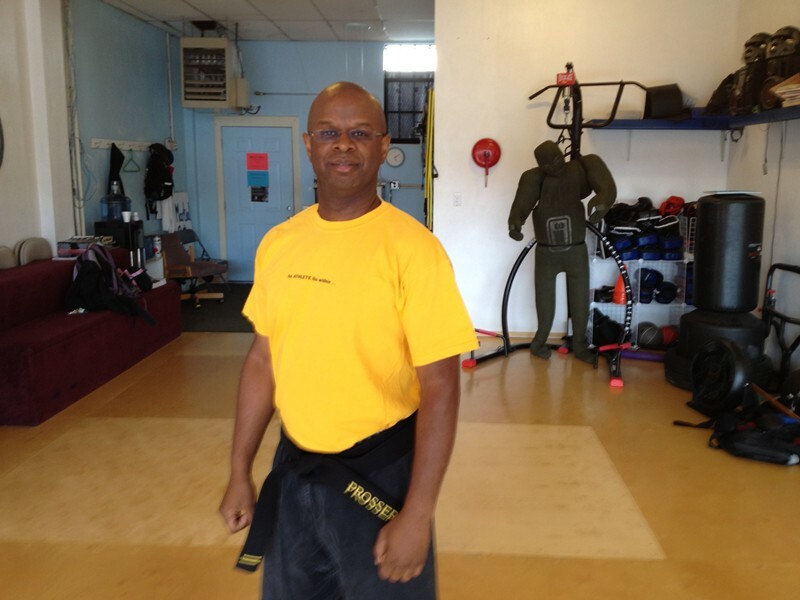 Tony is now a 2nd-degree black belt in Kenpo Karate, May 2012. 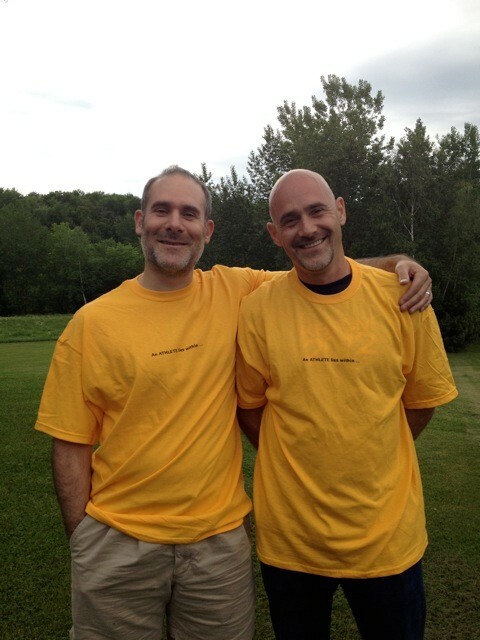 Brothers Rick and Will at the Burlington VT marathon, May 2012. 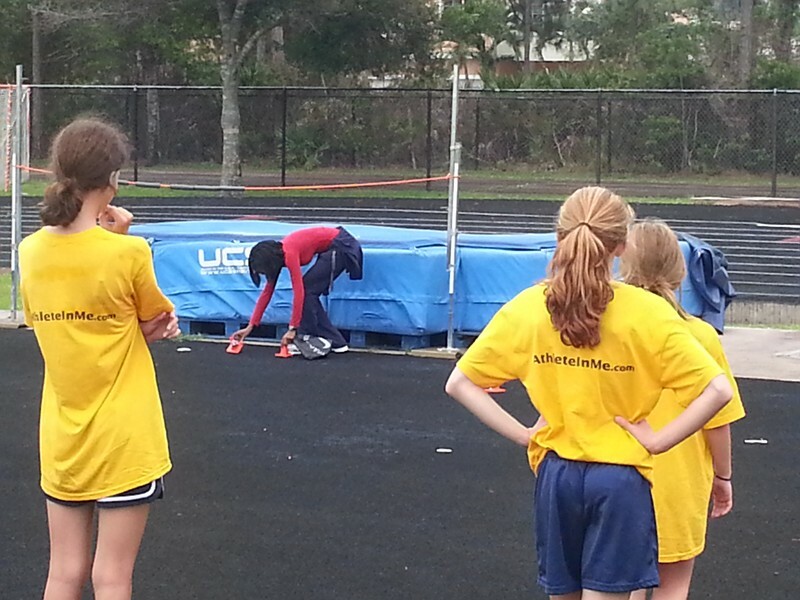 Paul was an outstanding athlete in grade school and high school. Since then, he has become a serious distance cyclist. Bill is a dedicated tennis player. 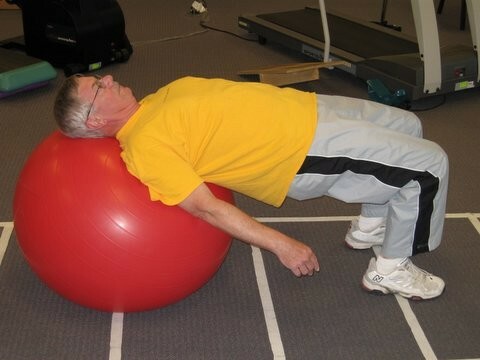 Here, he is doing a core training exercise on a stability ball. 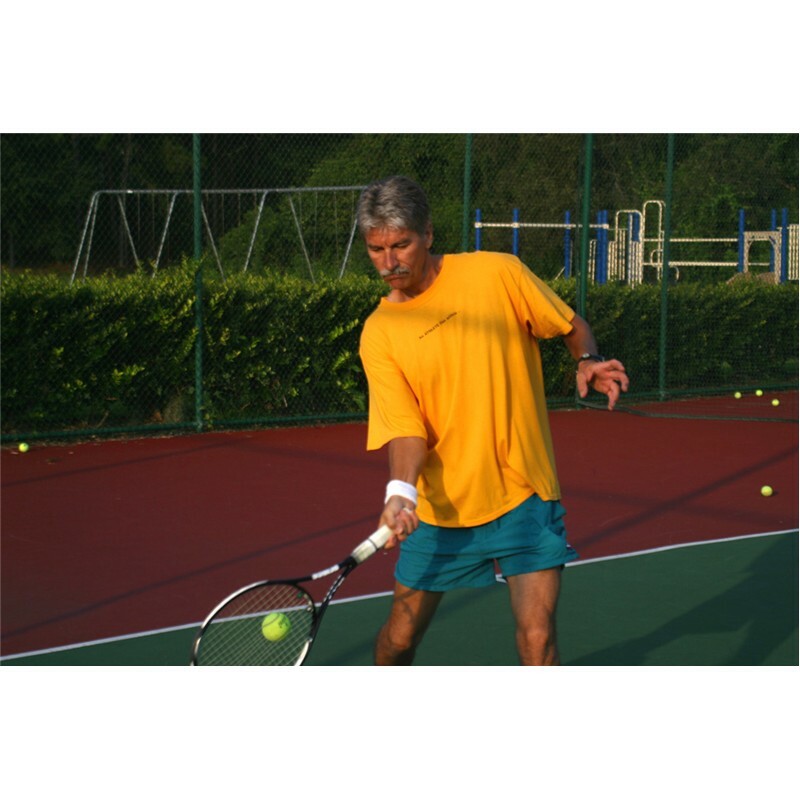 Adi plays tennis 4x/week, works out with weights 3x/week, and does water aerobics. She just turned 75 years old! 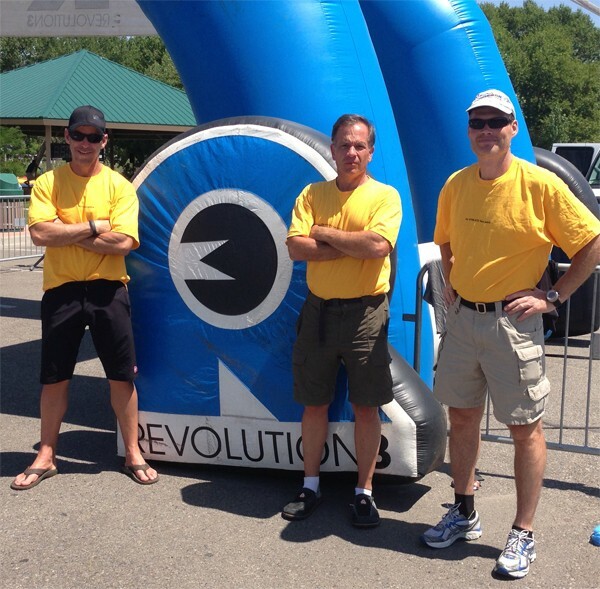 Greg Miller, MD and his fellow triathletes at the Cowboy Tough Race. 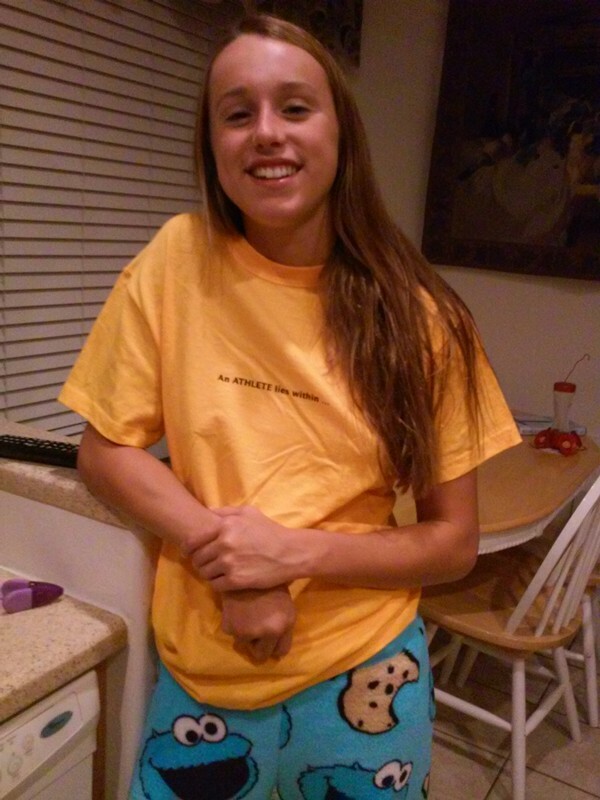 Presley is a stand-out Varsity track and swim team athlete for the Centennial Coyotes. 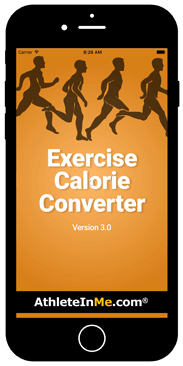 Our innovative and award-winning app "Exercise Calorie Converter" converts the calories in restaurant foods and beverages into minutes of exercise. Tennis was very popular in the US in the 80's, largely due to the entertaining and mesmerizing play (and antics!) of Connors and McEnroe. After a lull, there is renewed interest in tennis. 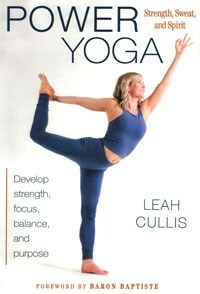 If you'd like to learn more about tennis, or, impress your friends at the tennis club with how much you know, read our review: "Tennis: An Overview"
TITLE: "Power Yoga: Strength, Sweat, and Spirit"